After my Iditarod Trail Invitational race last year it was pretty clear that I would return to Rovaniemi for a third time. In addition to 66 km and 150 km distances, last year there was a double distance 300 km for the first time. I had already decided to do the 150 km. Some people have asked me that why not 300 km? For those who don't know, back in 2014 I almost won 150 km. In the last kilometers I rode at wrong side of the Ounasjoki river and that resulted an extra loop. I had about 10 minute lead but lost the race to Rene Fisher only by one minute. Overall it was a great race from me but that dramatic finish has haunted me. Winter ultras are far more unpredictable than other races. Conditions plays a major role. Every year there are different participants, and the level of competition is much higher now. My racing philosophy has always been to win myself and after that see where I stand in the final results. 2014 changed that a bit because I was so close to win. This time I set a super difficult goal for myself: to win this race. I trained and prepared for the race a lot. A hell of a lot. And there were some scary moments. I had some back problems in December but luckily got my back in control quickly. I was on the edge, in terms of quantity and quality. And I was nervous. All kind of flus and lately influenza epidemic have hammered Finland. If I would get sick, the whole plan would collapse. Luckily, it didn't. In the tapering period I was feeling great and I was optimistic with my chances in the race. 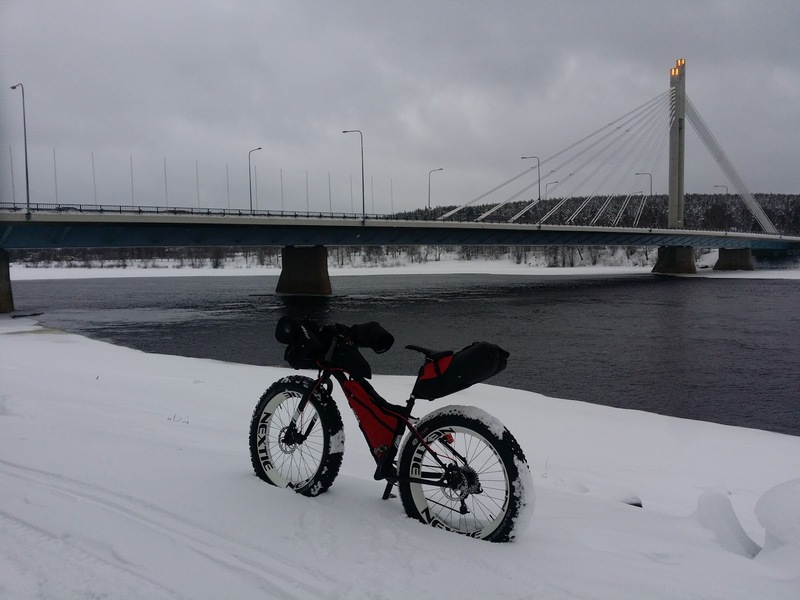 In the last week, it snowed a lot in Rovaniemi and temps very only mildly below zero. It started to look like we would have at least tougher conditions than last year, when records were broken. As always, the start fast. 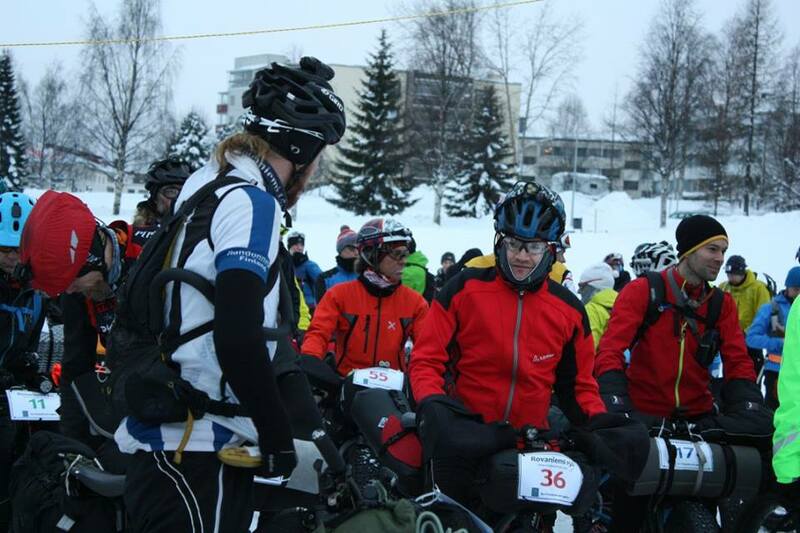 I was in the lead group on the Ounasjoki river, and probably 3rd at the first checkpoint, Porohovi1. One of the fast men, Kyösti Soini, was opening a gap. There was no way for me to keep that pace so I just concentrated on my own pace. 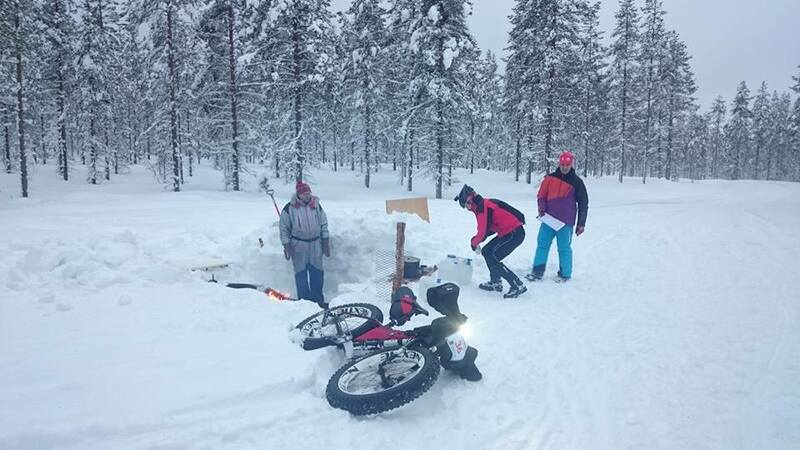 After Ounasjoki the real stuff started with the first snowmobile track to the Sinettajärvi. The conditions were soft and it was instantly pushing time! It was going to be tough race this time. There were two 66 km riders in front of me. Another man to watch, Jussi Karjalainen, was with me and soon I couldn't keep his pushing pace. A tall man from Sweden, Zbigniew Wizner, passed me and he was pushing strongly. Certainly I didn't like the situation but it was still very early in the race so anything could happen. On the Sinettajärvi lake I soon passed Wizner and I was closing on Jussi. Sinettajärvi lake was rideable for the most part but it wasn't very fast. After the lake I joined Jussi briefly. As soon as the tough climb on a snowmobile track started, we were pushing our bikes again. Jussi is also a tall guy with long legs. He was seemingly a very good pusher and again I couldn't keep the same pace. At some point Wizner came back and passed me. Also, the hard man in the 300 km race, Jan Kopka, was doing well. It was hot, I kept my jacket open, but I already had first signs of headache. I drank and ate more. Eventually the mild headache faded away. A very good thing because the going was tough indeed. After Vittavaara and Morajärvi checkpoints I passed Wizner somewhere and I was in third place. At the checkpoints we had to write our names before leaving, and there were in and out times too, but at this point of the race I didn't pay much attention to it. 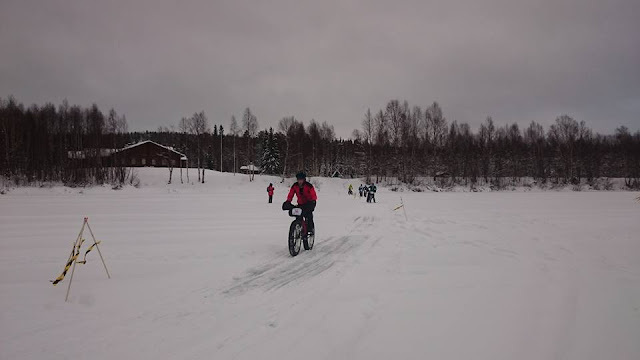 There is a bit longer road section between Peurajärvi and Kuusilampi checkpoints, and it was a relief to ride for awhile after the almost endless pushfest was going on. At Kuusilampi checkpoint came the first surprise. Kyösti Soini had decided to DNF because his knee didn't stand all the pushing. I also noticed that Jussi wasn't too far away, maybe ~20 minutes. Kuusilampi CP is around halfway point, so I thought that anything is still possible and I just pushed harder. After a while I had to slow down just a bit because I knew that it could take easily over 20 hours to reach the finish and I was slightly worried if I had enough food for it. Another 300 km man, Antti Sintonen was doing great and I was going with him. He was able to ride some sections with ultra low tire pressure. My tire pressures were low too but I had tubeless setup so I couldn't go too low. After a while I lost contact with Antti. Pushing felt pretty brutal here but there was that long road section ahead so it was about perseverance here. This race was so completely different compared to 2014! Finally the road section started and I pumped high tire pressures. The long road section went pretty well but the fatigue started to kick in. I had to command myself pretty hard. As I reached the next snowmobile track to Torimokivalo I was surprised that it was rideable, for the most part. Some of the climbs had to be pushed, but it was slighly easier now. At Torimokivalo I passed the skier that had passed me after Kuusilampi. I was still about 20 minutes behind Jussi. I was tired but I didn't have any signs of sleep deprivation. Just before Norvajärvi lake I caught Antti but Petri Lindström came behind and caught me. The wind was blowing really hard on the lake. We rode together. After Norvajärvi there was the last snowmobile track back to Ounasjoki. It was also rideable. It was good to have the company of Antti and Petri. Just before Ounasjoki we ate a bit, though Antti was heading to Porohovi2 checkpoint. When we arrived there with Petri, Antti took a short nap. 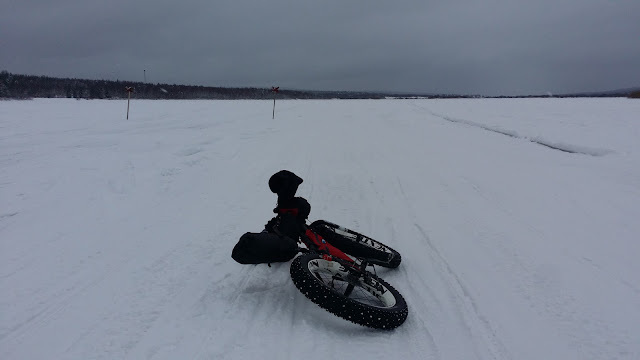 The wind was brutal on the Ounasjoki river too. We shared the work and agreed for a sprint finish to settle 2nd and 3rd place. Petri was just a bit stronger in the sprint. Although I didn't win, I was on the podium again, and I really put a very hard effort. Actually, I think this is my best performance in the 20-24 hour range. I did everything I could and didn't left anything to the trail. On the next day I had difficulties with easy walking and I was very sore. I want to thank again my family for support and my sponsors: 45NRTH, Porcelain Rocket, 9:ZERO:7, Lumicycle, Nextie and Alpkit. Thanks also to Alex and his team for organizing the race.